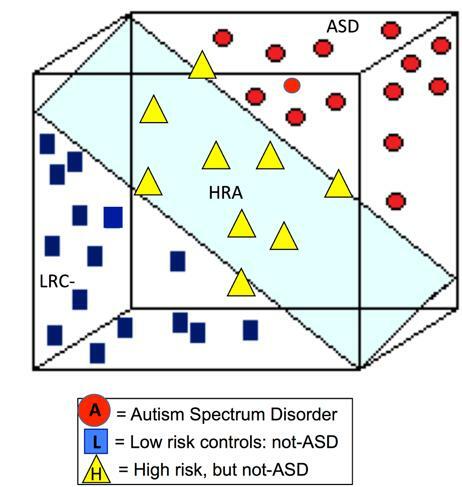 Credit: Credit: William Bosl, Ph.D.
Autism is challenging to diagnose, especially early in life. A new study in the journal Scientific Reports shows that inexpensive EEGs, which measure brain electrical activity, accurately predict or rule out autism spectrum disorder (ASD) in infants, even in some as young as 3 months. "We believe that infants who have an older sibling with autism may carry a genetic liability for developing autism," says Nelson. "This increased risk, perhaps interacting with another genetic or environmental factor, leads some infants to develop autism — although clearly not all, since we know that four of five "infant sibs" do not develop autism." Helen Tager-Flusberg, PhD, of Boston University was the third co-author on the paper. The study was supported by National Institute of Mental Health (R21 MH 093753), the National Institute on Deafness and Other Communication Disorders (R21 DC08647 R01 DC 10290) and the Simons Foundation.